This is a close up image of John Tavares which has been filtered to give it the look of a painting. The image has been printed on a canvas and is stretched and stapled on the back to a 3/4" deep wooden frame. The stretched canvas has been set inside Frameworth's renowned silver floater frame. The canvas has been hand signed by John Tavares himself. A Frameworth Sports Marketing Hologram & Certificate of Authenticity come included with this item. 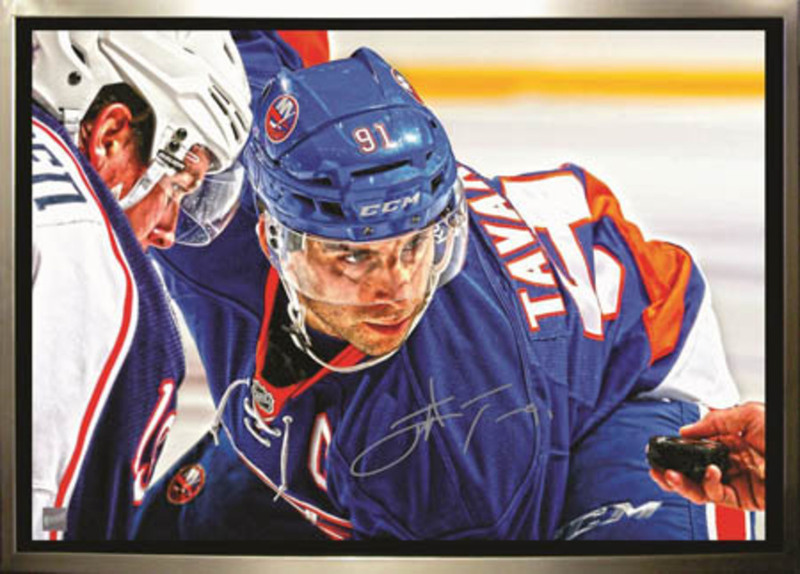 Frameworth Sports Marketing is the official autograph provider of John Tavares memorabilia. Perfect for any home or office and a unique addition to any hockey collection. FINISHED SIZE 20" x 29"